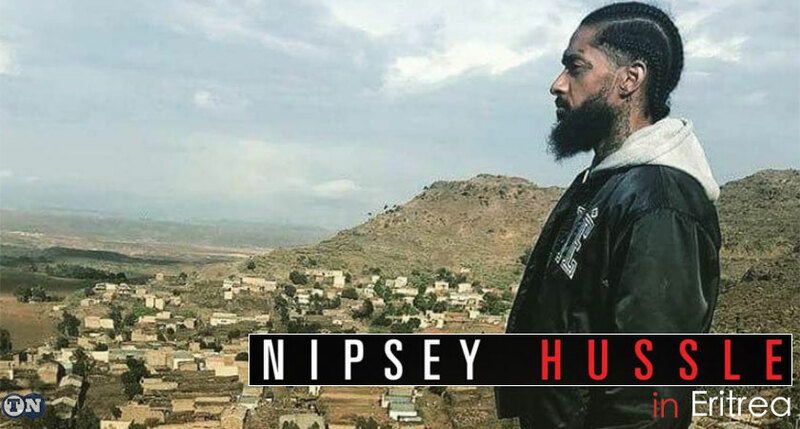 An outpouring of grief and tribute for celebrated artist, beautiful human being, proudly Eritrean, Ermias Asghedom, better known by his stage name, Nipsey Hussle. Eritrea’s Minister of Information Yemane Meskel has paid tribute to rapper Nipsey Hussle who was shot dead in Los Angeles on Sunday. The rapper’s father is from the African nation and Hussle visited Eritrea in April 2018 where he sat down with the Ministry of Information’s website for a wide-ranging interview about his life and experiences growing up in Los Angeles in a culture of gang violence. The rapper, birth name Ermias Davidson Asghedom, was shot dead in an attack near a clothing store he was associated with. Two others were injured in the shooting that left the 33-year-old dead. “Extremely saddened to hear the news of the tragic and untimely death of iconic recording artist/entrepreneur Ermias Asgedom (Nipsey Hussle),” Meskel tweeted. During his interview, Hussle spoke of his love for Eritrea and his desire to connect with his extended family after fourteen years since he previously visited the country. “I am here to visit my family and reconnect with my grandmother, my cousins and everybody else,” Hussle said at the time. The news of his tragic death has been greeted by messages of condolences from celebrities worldwide, with stars like Rihanna, Drake and LeBron James and many others all paying their tributes to the rapper. Hussle’s debut studio album, Victory Lap, was nominated for best rap album at this year’s Grammy Awards.